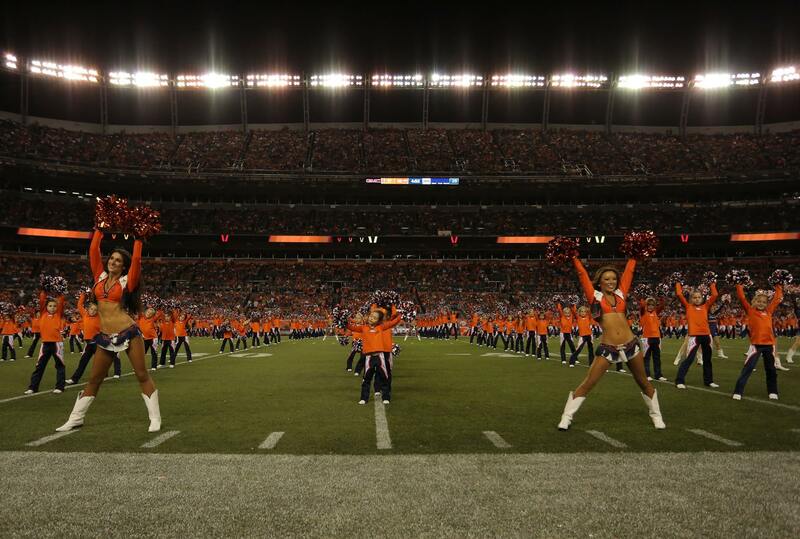 Could you imagine cheering on an NFL football field, performing in front of a stadium full of thousands of on-lookers?! 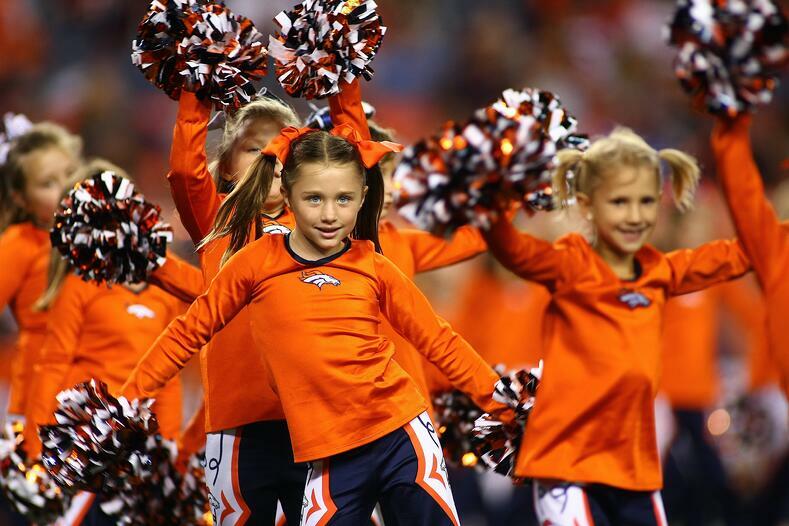 This is an every-week occurance for many of our pro cheerleader friends, but many young girls get the same opportunity once a year, through Junior Cheerleading programs. Talk about a once-in-a-lifetime experience! 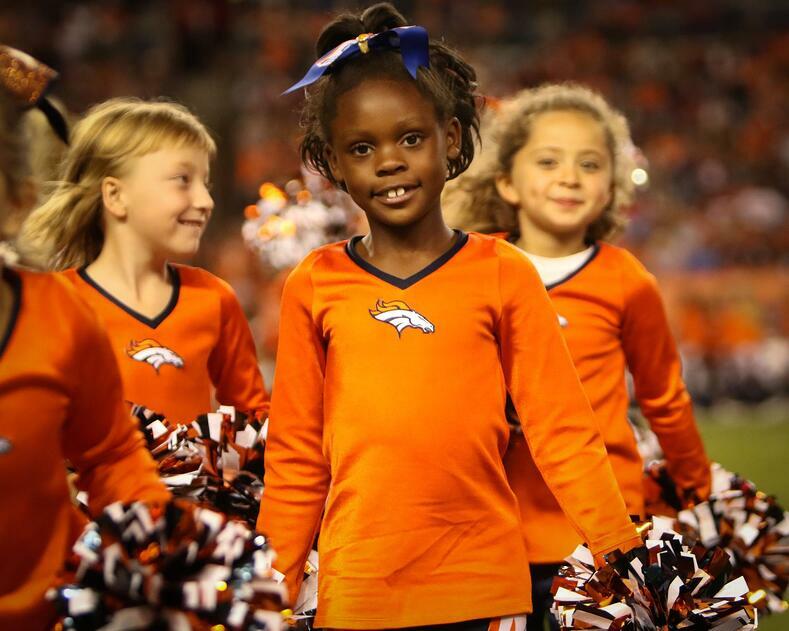 Many NFL Cheerleading teams offer Junior Cheerleader programs; where young girls, usually age 4-15, can learn dance fundamentals directly from the pros! It's a fun and non-competitive program that fosters commitment and self-esteem, and improves talent. 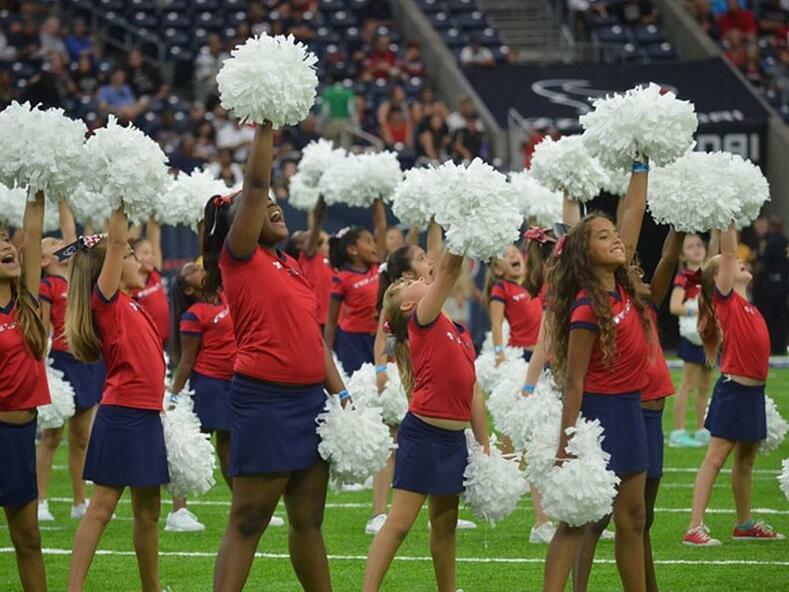 The girls typically participate in a series of clinics, ending in an on-field performance with their mentoring Cheerleaders. And did we mention they get their own professional uniforms, usually styled after their Big Sister's outfits? 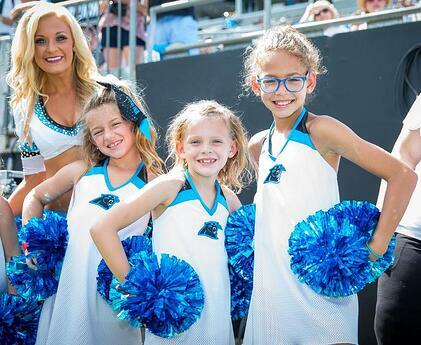 Check out the fabulous looks some of the Junior Cheerleaders have been sporting this season! 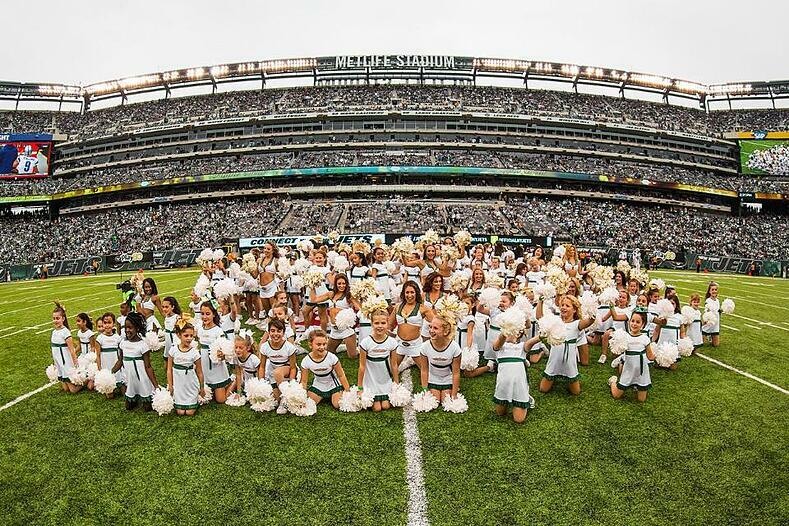 New York Jets' Junior Flight Crew! 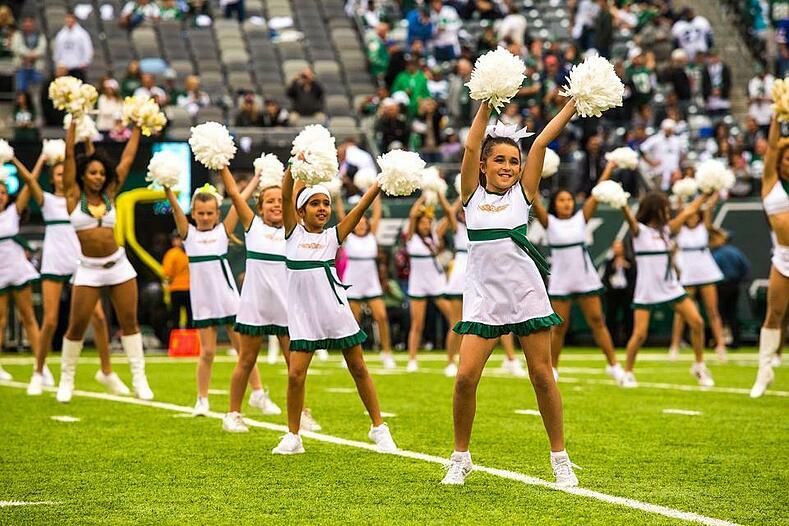 The Junior Flight Crew had camps and rehearsals prior to their performance at the October 8th game against the Seattle Seahawks! 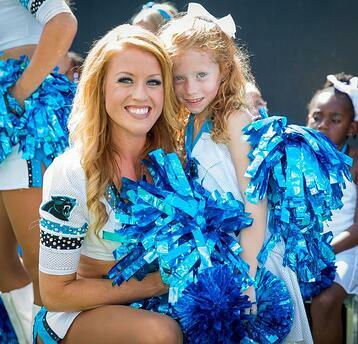 These cute kittens danced at the fall September 18th game against the 49ers. 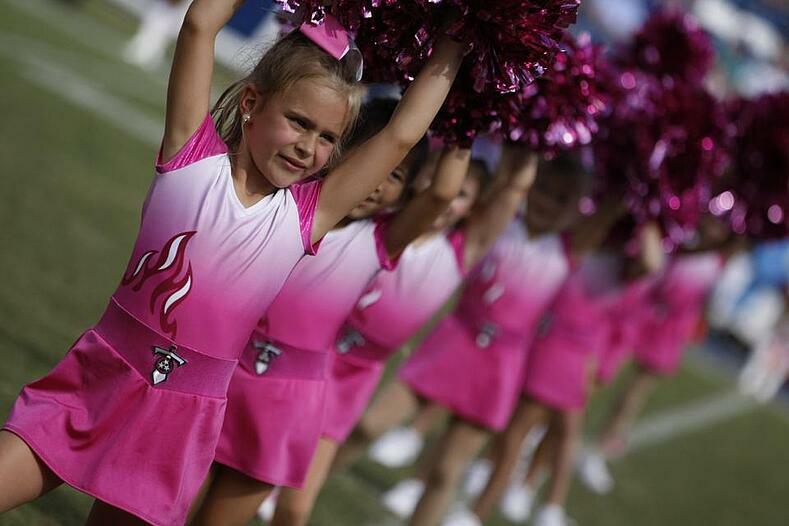 The Titans Juniors sported pink instead of the typical blue and red, in honor of Breast Cancer Awareness month! 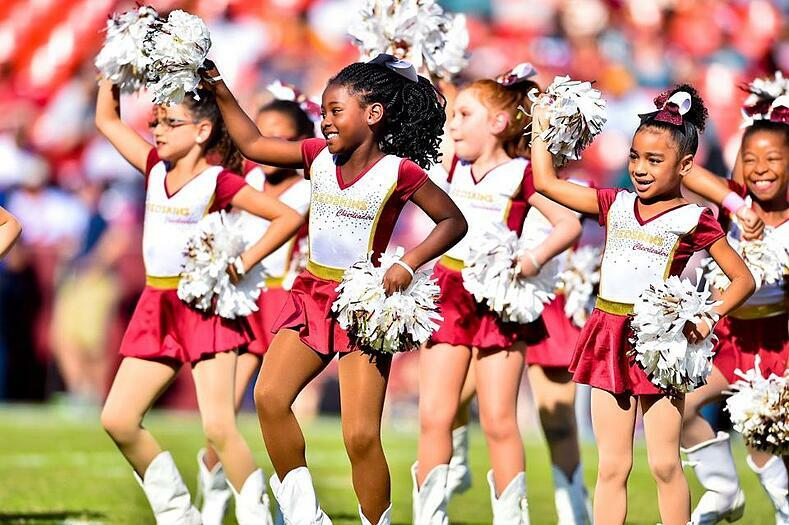 Junior Redskins Cheerleaders & Redskins All-Star Dance Team! 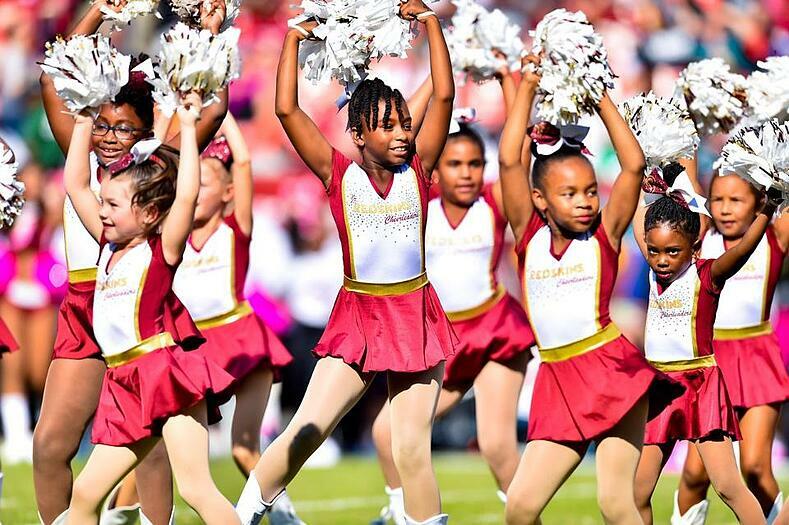 The Redskins Cheerleaders have numerous youth programs, including the Junior Redskins, the All-Star Dance team with participation by audition, as well as a few other youth workshops. 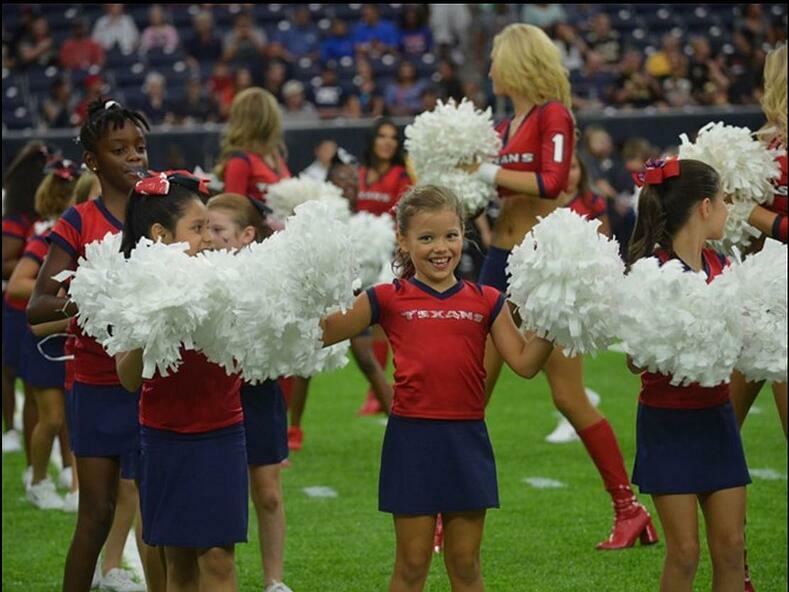 The Junior Texans Cheerleaders' red uniforms match the team's look, but with a little extra sparkle on the Texans logo! This group has 650 Junior Cheerleaders! Love the spats on the pants- very fitting with the Broncos theme! 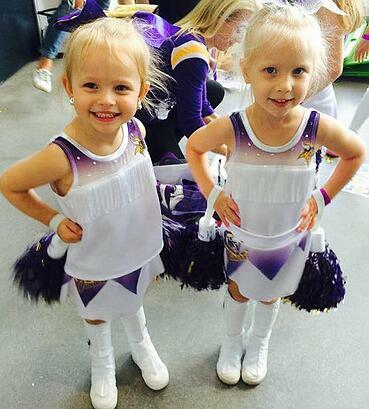 These little tikes are modeling their uniform that matches the Vikings Cheerleaders new Ice uniform! 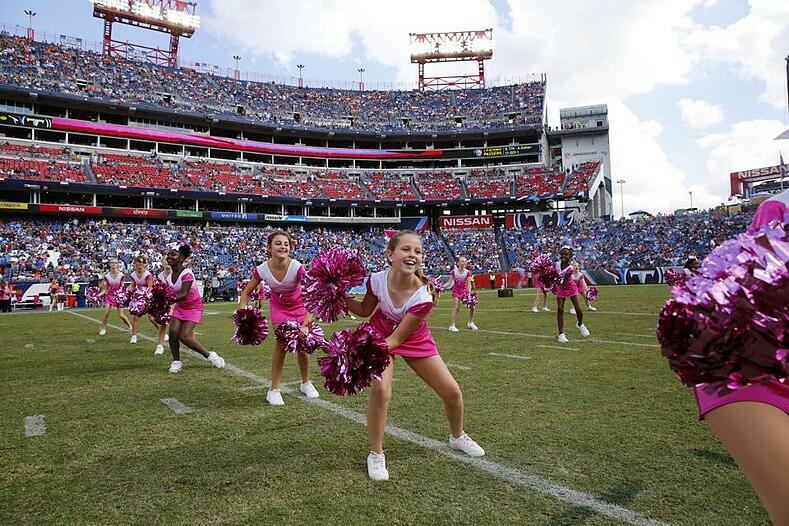 The Vikings Junior Cheerleaders wear the same uniforms two years in a row to save on money. Pre Game rehearsal with our #JrMVC . 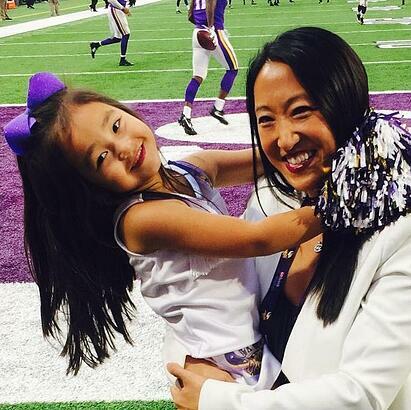 We are so excited for tonight's #Vikings #Rams game!